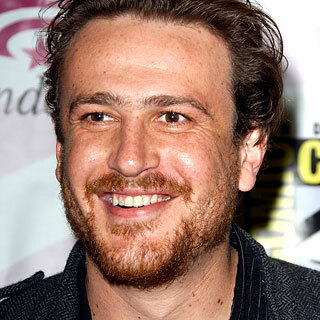 As Segel had been saying in interviews leading up to the movie’s premiere, the inspiring aspect of the Muppets is that they’re not cynical and they remind us of the best versions of ourselves. That theme is wonderfully apparent in his movie. 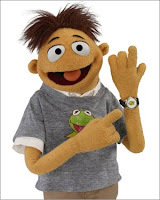 We see it in most of the characters, Muppet and otherwise. And it makes the movie work as a Muppet movie; as a wonderful tribute to what came before; and as a great, funny and touching movie. The plot is simple and has roots in Muppet movies and shows past. Walter (a new Muppet voiced by Peter Linz) is the Muppets’ biggest fan. 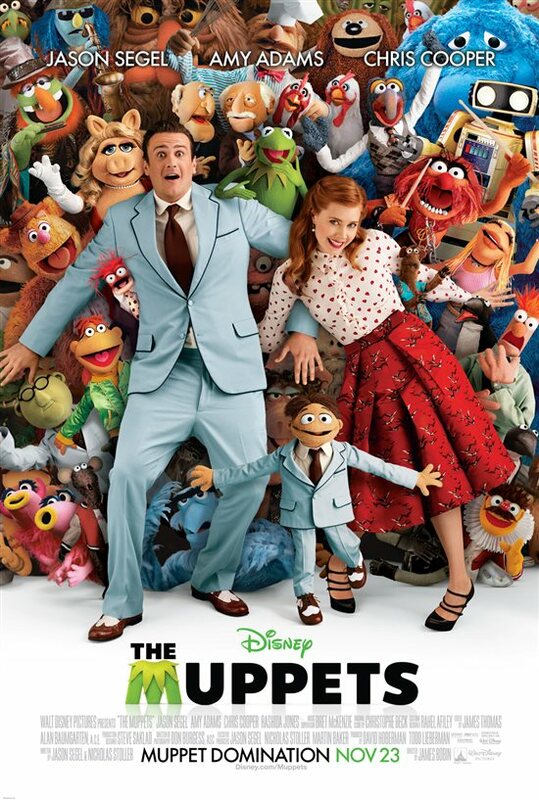 When his brother Gary (Segel) and Gary’s long-time girlfriend, Mary (Amy Adams), take a trip to Los Angeles, Walter tags along and the three set out to take the Muppet Studios tour. Walter is disheartened to see it in disarray, and after hearing oil tycoon Tex Richman (Chris Cooper) reveal that he plans to raze the studio, Walter sets out to find Kermit, rally the troops and save the studio. In this fun and sentimental romp, there are great cameos from every generation. Mickey Rooney pops up in the beginning, followed not long after by Dave Grohl, in a cameo he was born to make. James Carville, Modern Family’s Rico Rodriguez and Neil Patrick Harris, among many others, also lend a hand, and Rashida Jones and Jack Black appear as featured players. 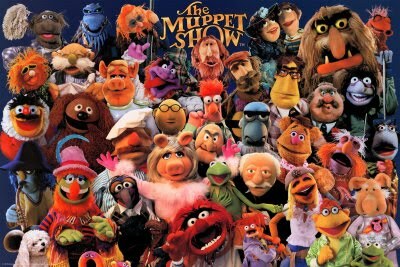 The Muppets is funny, bawdy, sweet, sentimental, heart-warming and all together lovable. 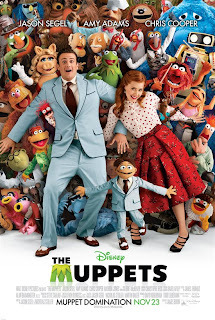 Whether you’re a diehard Muppet fan (like me), a casual observer or you’ve never watched a Muppet movie or TV show (for shame), there is something for you to enjoy in this wonderfully optimistic tale. The whole Muppet gang is back together, “movin’ right along in search of good times and good news, with good friends” who can’t lose. I hope this becomes a habit.